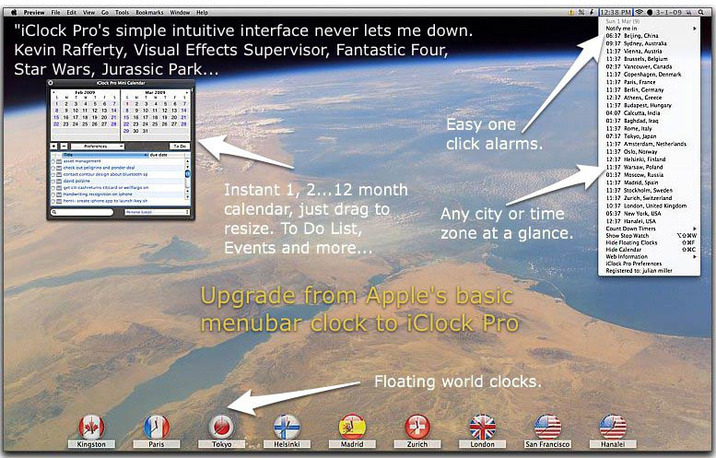 iClock replaces the old Apple’s default menu bar clock with more features, customization and increases your productivity. iClock is about productivity but not just about business! Enjoy moon phases, chimes with sound effects like Big Ben or a cuckoo clock, and an application menu to see all running applications and switch to them.